And the paper girls have the assignment to use transparencies! For my background I used a sheet of kraft paper and piece of brown cardstock that I embossed with an embossing folder. Then I colored the swirls with golden gilding polish. 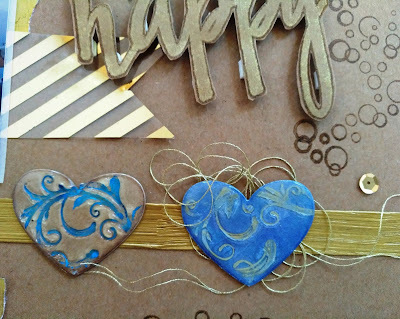 The hearts are made with lots of embossing powder and a swirl stamp that I pressed into the hot, smooth embossingpowder.Before pressing the stamp into the liquid embossing powder, I colored it with distress oxide to get this awesome effect! What a lovely layout, Denise. 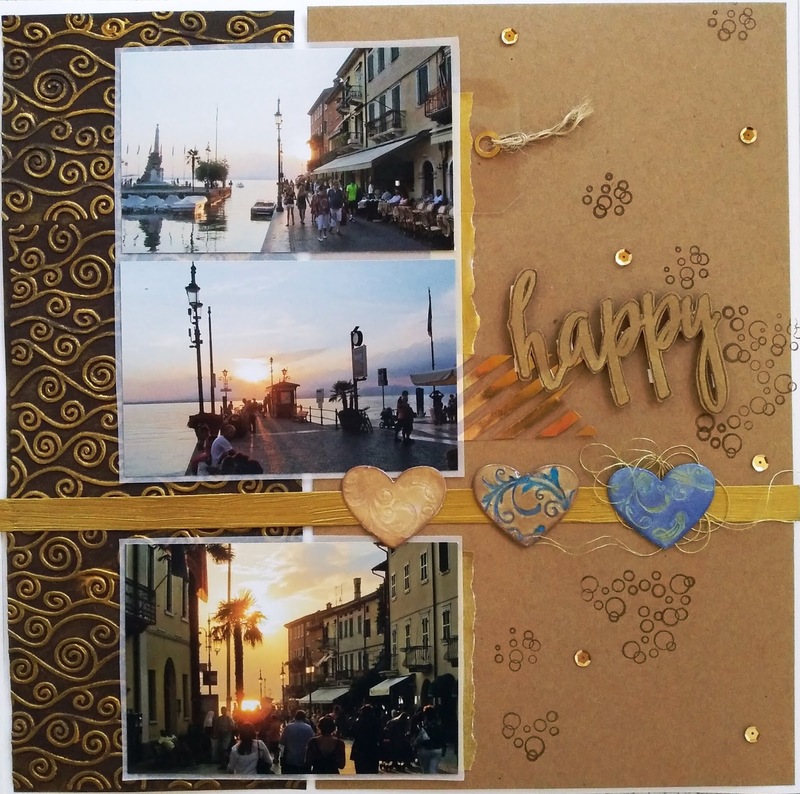 The touches of gold throughout are just perfect for the golden reflection of the setting sun. Love those fancy hearts, and the "bubbles" stamp. The tone-on-tone title letters look great as well. Very nice work. Kraft is always one of my favorites, love your embossing technique. Thanks for playing along with us at Scrap Our Stash! Such a pretty page. Love the details and stash use. 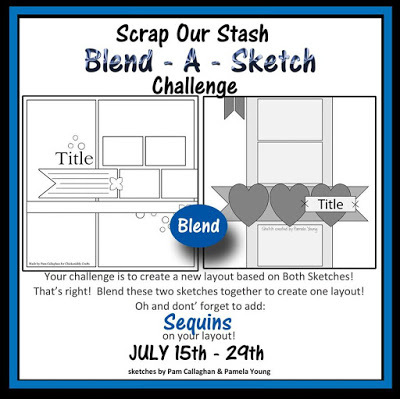 Thanks for joining our challenge at Scrap Our Stash. Happy Scrapping! What amazing photos...love the hearts, too. Thanks for joining us at Scrap Our Stash. Beautiful layout. Great photos! Love all the textures! Thanks for playing along with us at the Scrap Our Stash Blog! Great take on the challenge. Love the touches of gold. Thanks for joining us at Scrap Our Stash.